Thank you, excellent service and friendly. My husband was delighted with his hood emblem I purchased for his birthday. great service with very prompt postage, happy to recommend. 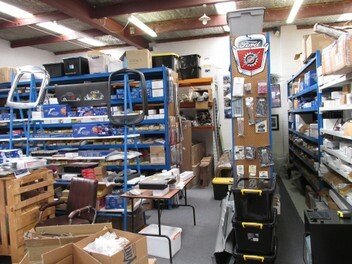 Have sourced several f100 part threw Derek very helpful trader goes the extra mile cheers Dale chch. I've purchased quite a few parts off Derek,always on the 8 ball with his quick & efficient service.Will be tradin again.Cheers Jeff. Derek goes the extra mile to source parts, no rip off, supplied everything including new wellside and widened guards ex USA for our 56. Nothing too much trouble. Definetly dealing with Derek in the future. Brought some new parts at different times from Derek,he has imported an item for me but usually had them in stock. Surprisingly considering they fit a 27 Model T and his stock is 28 and up.Recommended here.